Rock soaps, or soaps that look like semi-precious stones, can be of any shape, size or color. You can also stack them in decorative bowls like gem collections, making them practical and decorative. Turquoise soap works very well in bathrooms with southwestern or ocean themes. Chop about 1/2 of a pound of opaque glycerin soap base into quarter-sized chunks with a sharp knife. Add them to the top of your double boiler. Add water to the bottom half of the boiler until it is half full. Set the top into the bottom and set the boiler over medium-high heat. Gently stir the glycerin base as it melts. Distribute your melted glycerin evenly between two or three small rectangular soap molds. Add enough ultramarine colorant to one to make it a deep royal blue. Add enough to another to make a robin’s egg color. The third should either be lighter than a robin’s egg or between robin’s egg and royal blue. Let the soaps harden overnight. Release them from the molds and chop them into irregular shapes. The more oddly shaped the pieces, the better. Scoop up all the small pieces and flakes of soap from your carving and set them aside in a pile. Load all of your colored soap rocks into a large rectangular soap mold. It should be able to hold at least a pound of soap. Melt the other 1/2 of a pound of your opaque glycerin soap. Add the flakes of soap that resulted from carving your rocks, a tablespoon of mica powder and just enough dye to make the glycerin almost-white blue. Pour the melted glycerin over your glycerin rocks. The rocks will melt slightly; this is supposed to happen. Gently poke and stir the mixture with a spoon to prevent air pockets from forming. Don’t try to smooth the top; you want chunky soap. Let the soap cure for about 48 hours. Turn the mold over and release the soap; it will look like a large brick. Chop it into smaller pieces, adding irregular facets with your knife as you carve. 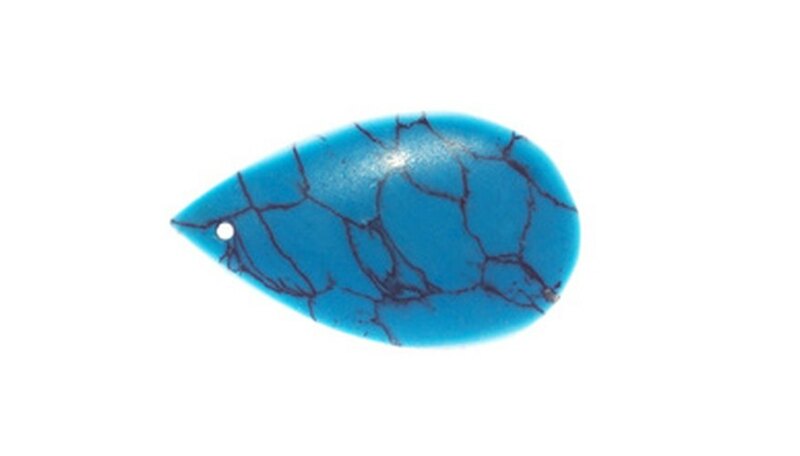 Since turquoise rarely has sharp edges, smooth the pieces with the flat of your knife or the heat from your fingers.